The ribbons form with a typical height of one atomic layer, widths of 4-50 nm and are up to 75 µm long. This aspect ratio is comparable to that of the cables spanning the Golden Gate Bridge’s two towers. 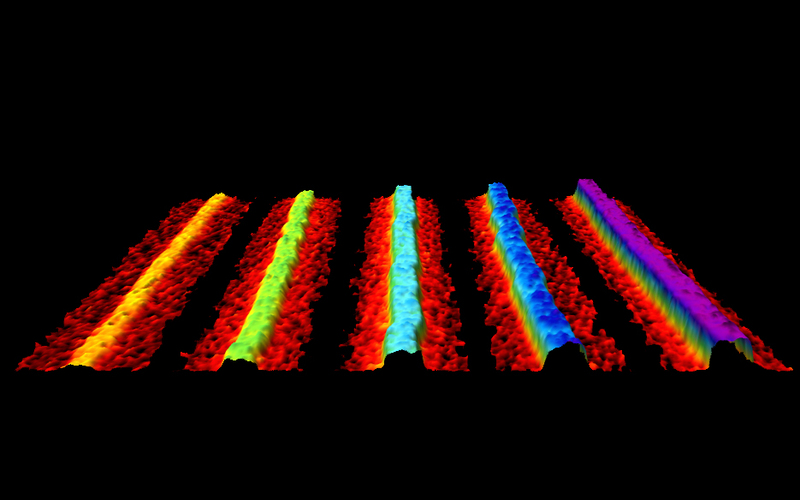 Individual phosphorene nanoribbons credit: Watts et al.